The acronym MERV stands for "Minimum Efficiency Reporting Value". 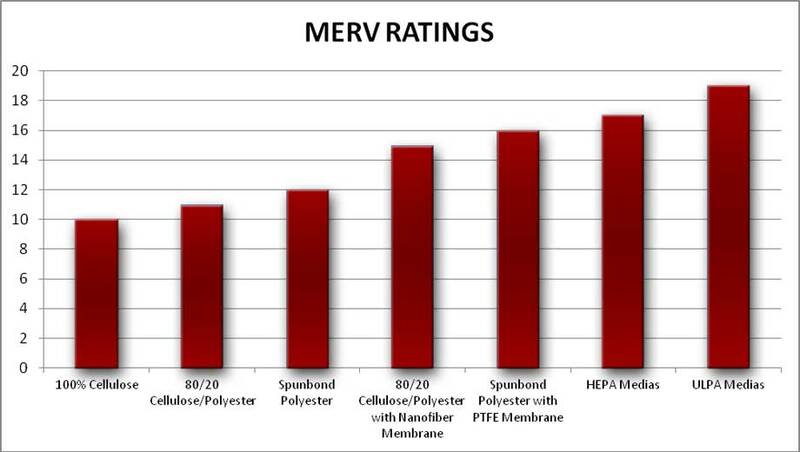 The MERV rating is the standard method for comparing the efficiency of an air filter. The higher the MERV rating, the better the filter is at removing particles from the air down to sub micron size. *It should be noted that the ASHRAE 52.2 test procedure returns the MINIMUM efficiency value for the tested filter. In actual use, once the filters have been coated with particulate, the filter efficiency would be much higher than that reported through the test. © 2019 Maddocks Group. All Rights Reserved.